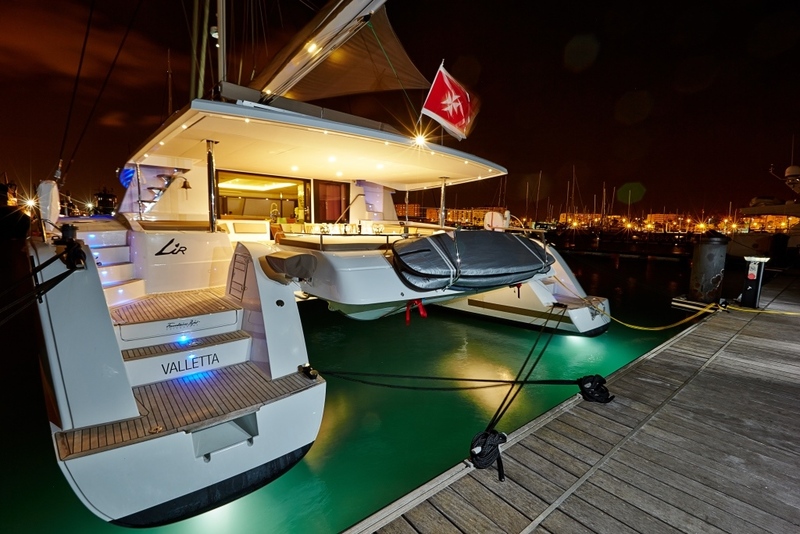 Yacht LIR is a Victoria 67 catamaran that was delivered by the well renowned French shipyard Foutaine Pajot and Berret Racoupeau Yacht Design in 2014. 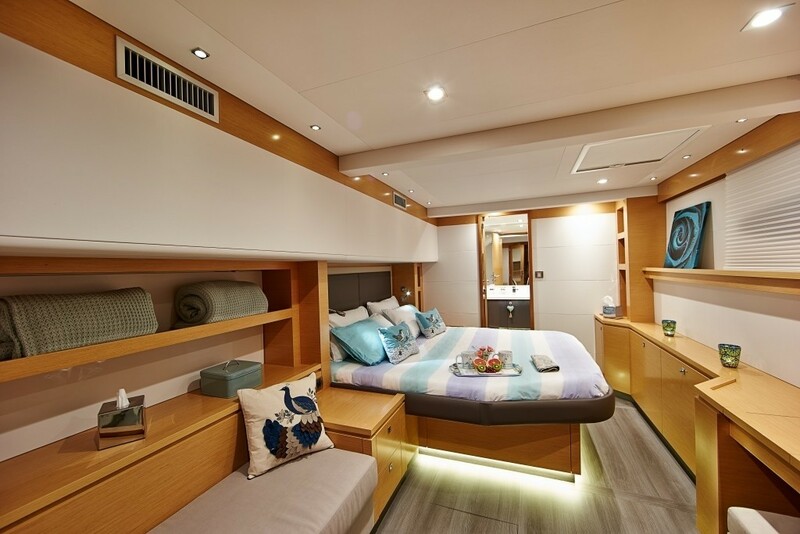 Luxury sailing catamaran LIR measures 20.44m (67ft) and can accommodate up to 8 charter guests, in 4 spacious, en-suite double cabins. 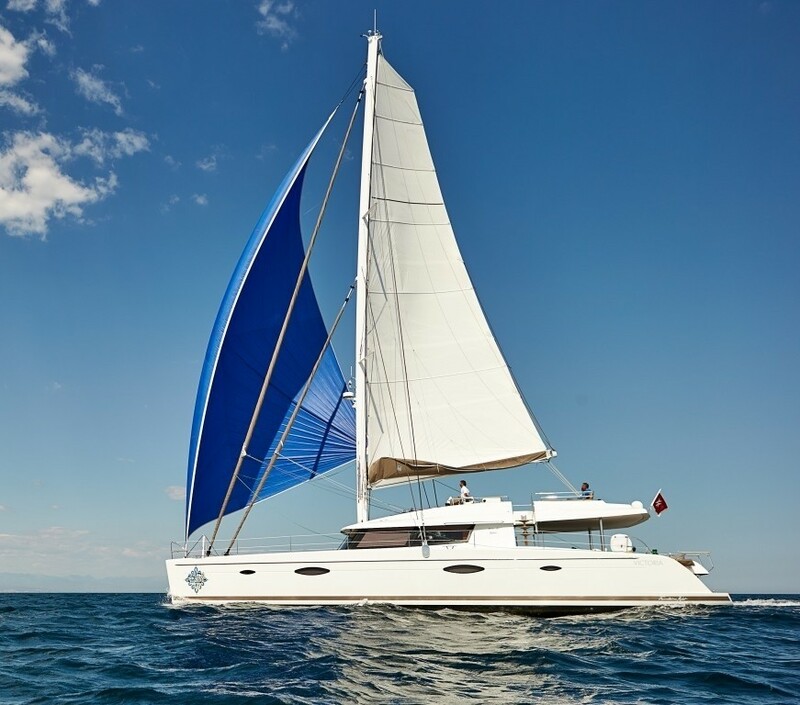 Available for charter in the Mediterranean during the summer and the Caribbean in the winter, she is a fabulous choice for families or groups of friends, wishing to sail in style and ultimate comfort. 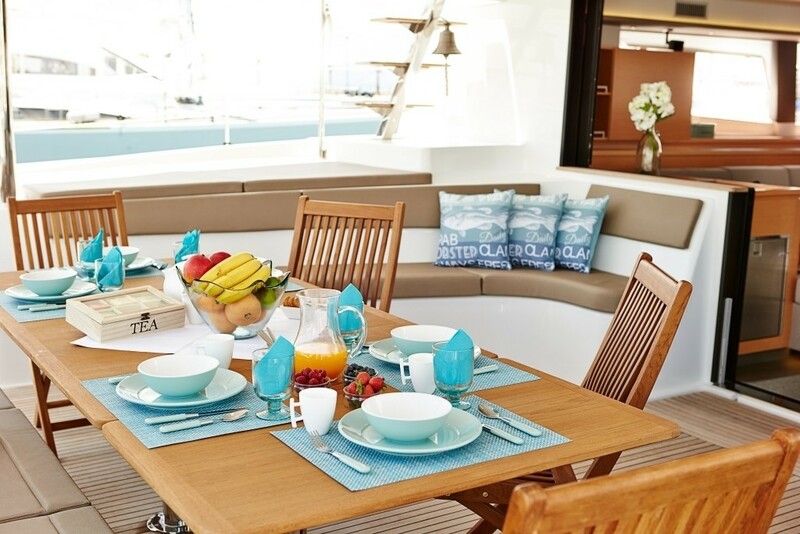 Crewed charter yacht LIR features a contemporary elegant interior décor, her open plan living areas invite guests to completely relax and are ideal for entertaining. 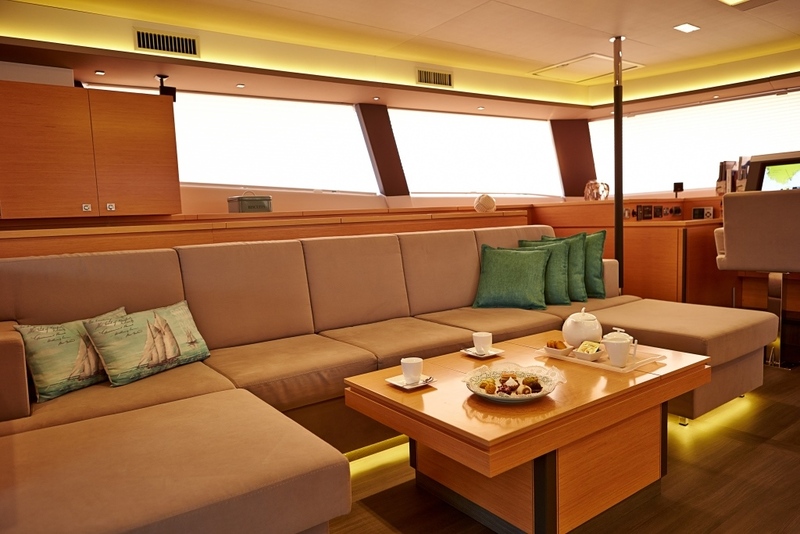 In the main salon, the lounge is to port with a generous seating area, coffee table and TV entertainment. 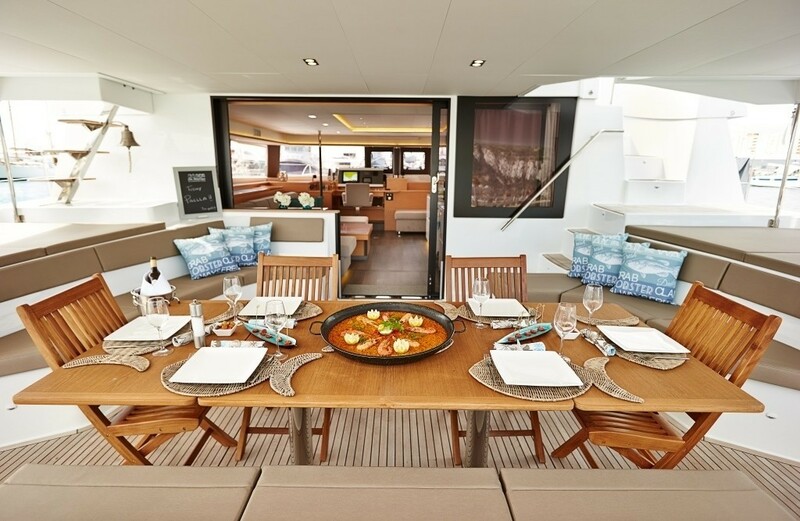 On the starboard side, the modern white finished galley is fully equipped, enabling the chef to cater to all her guests’ desires. 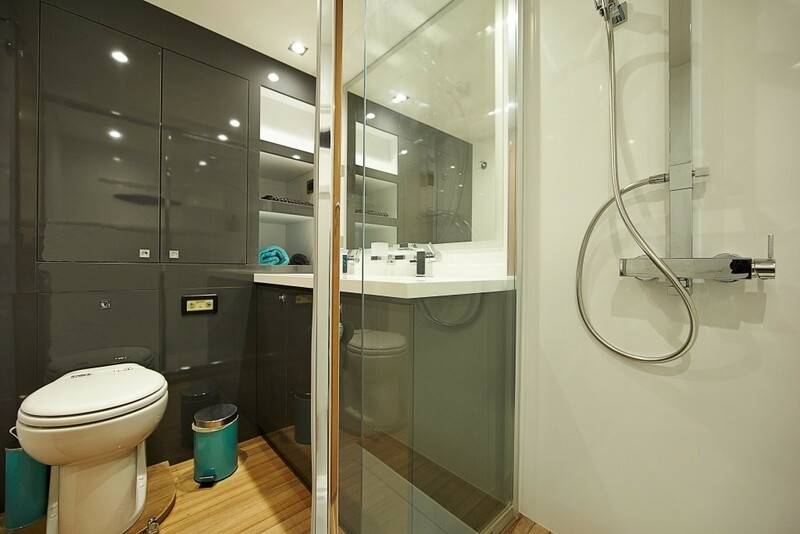 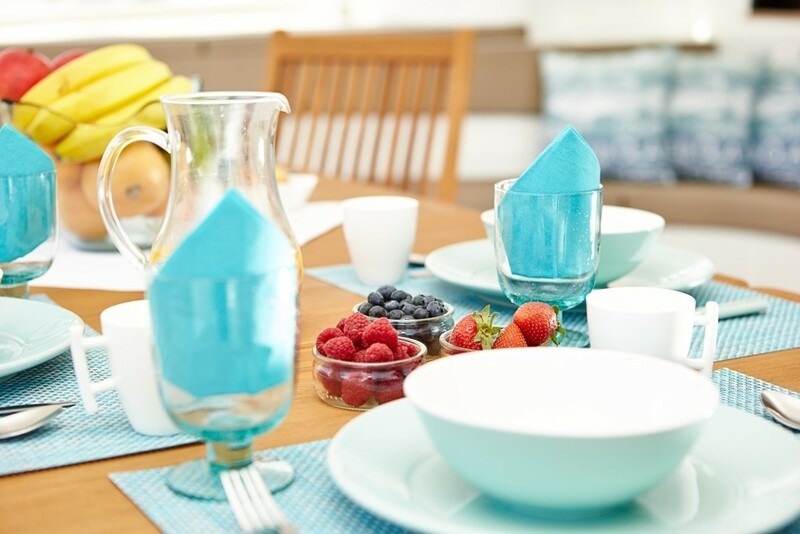 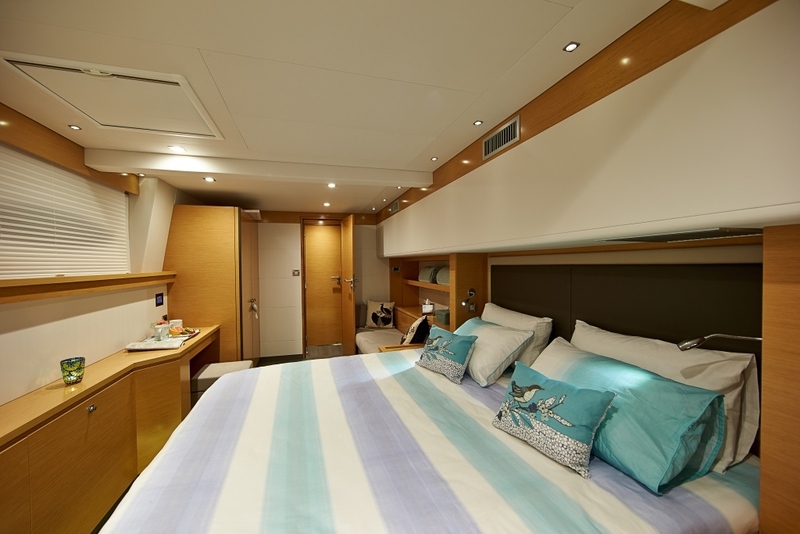 Guest accommodation is in 1 master and 3 VIP cabins, all with en-suite facilities and full air-conditioning. The yacht is air-conditioned throughout her interior. 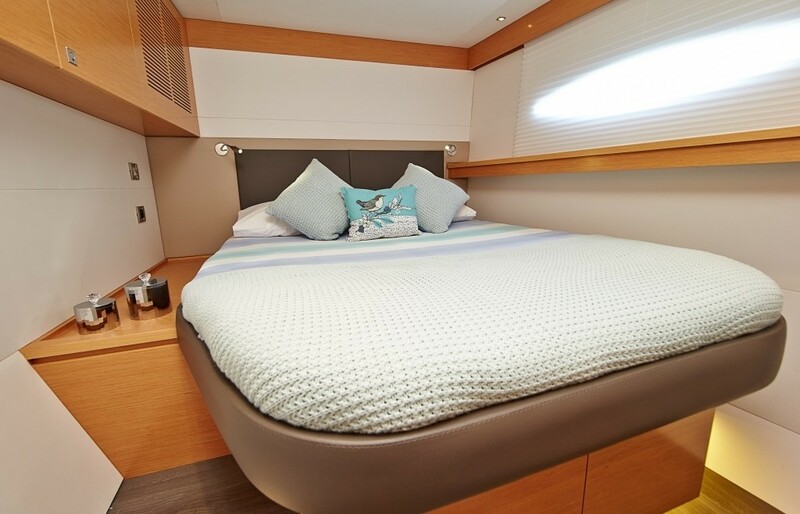 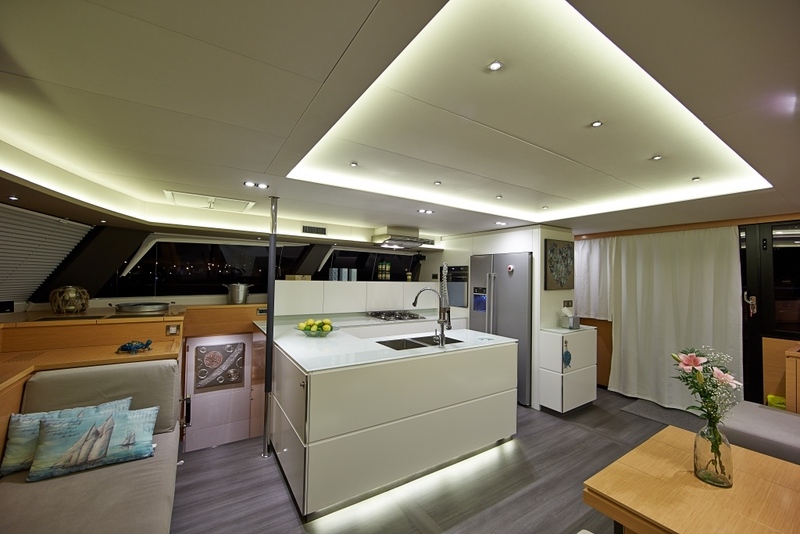 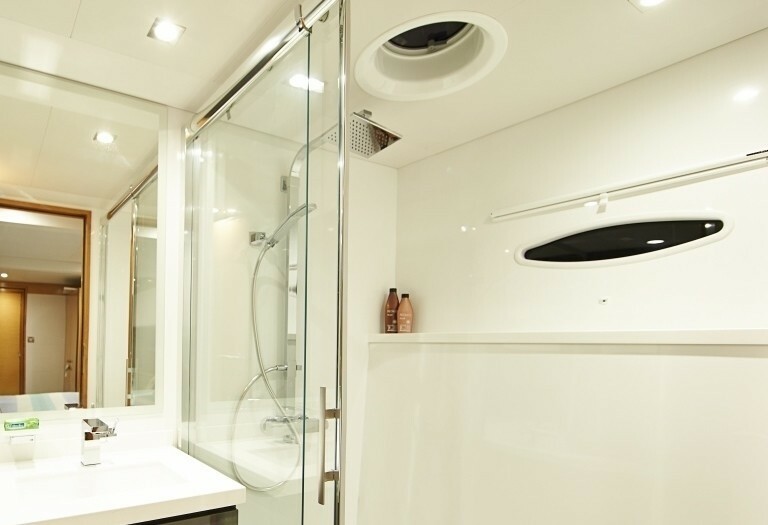 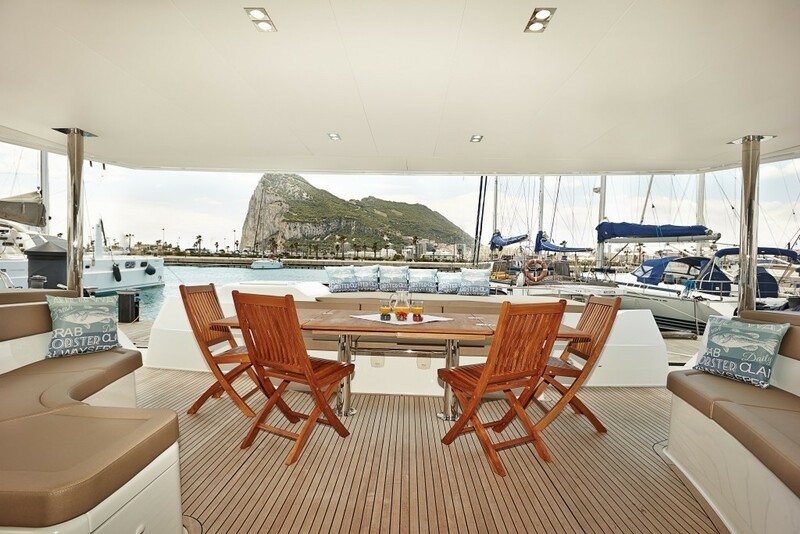 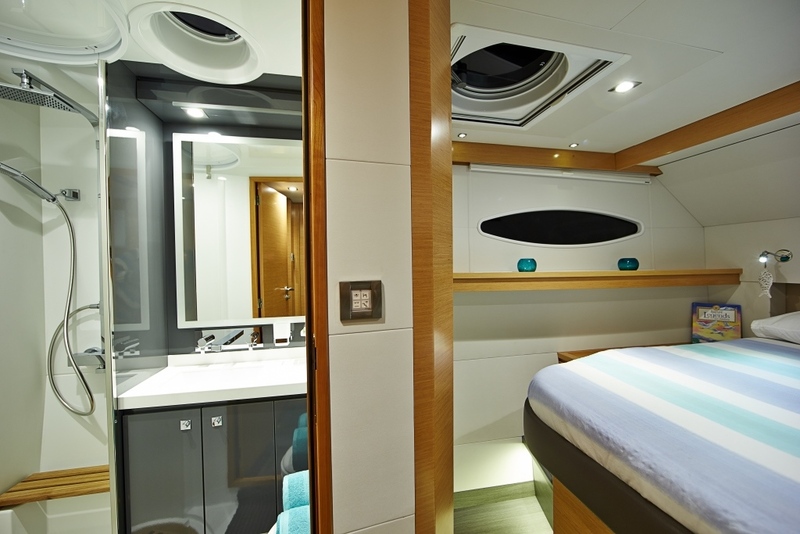 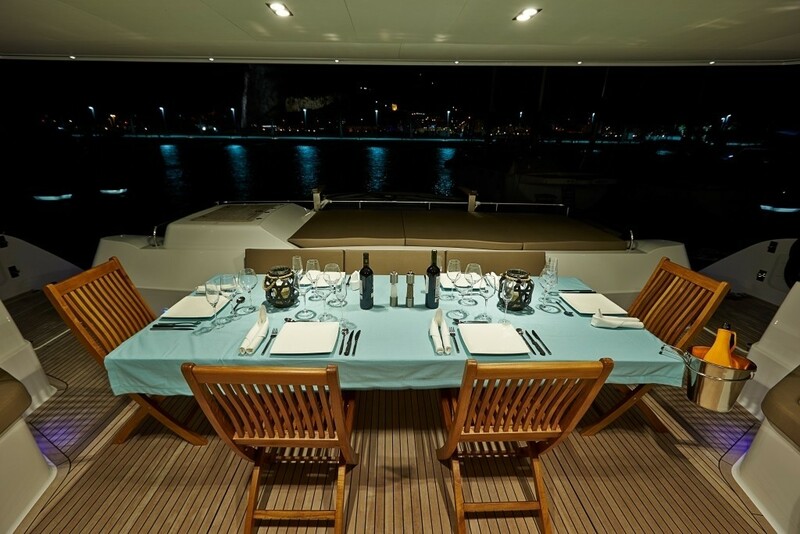 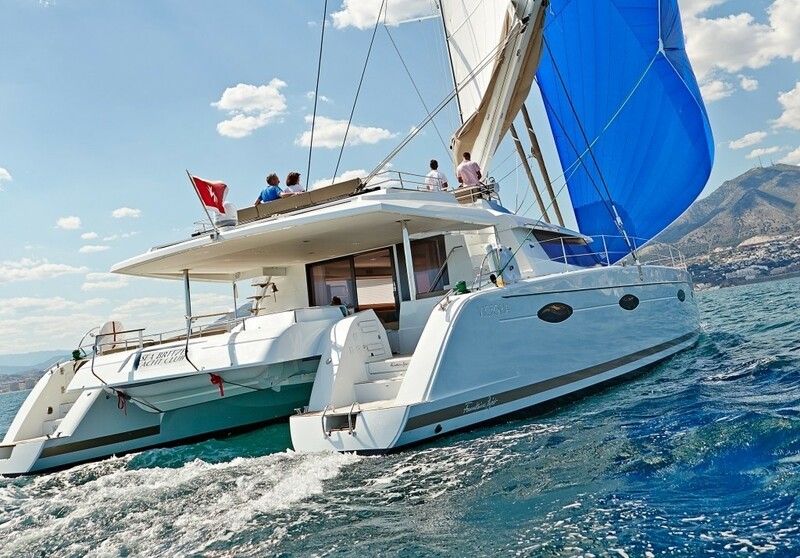 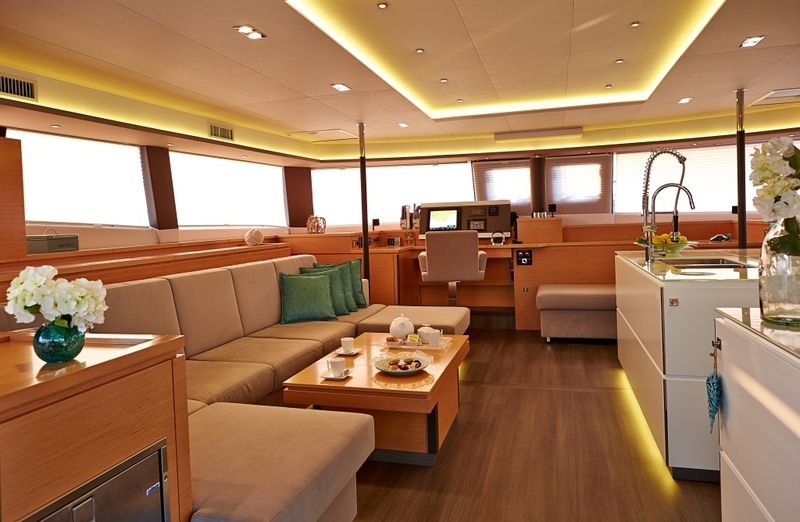 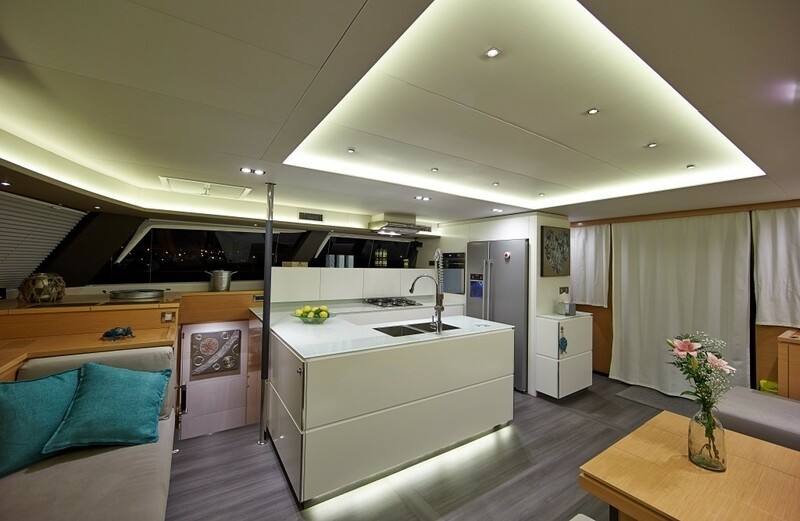 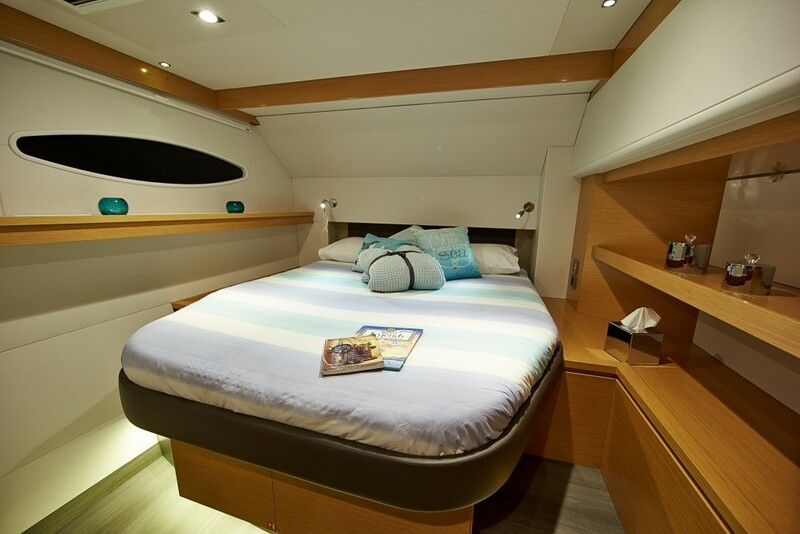 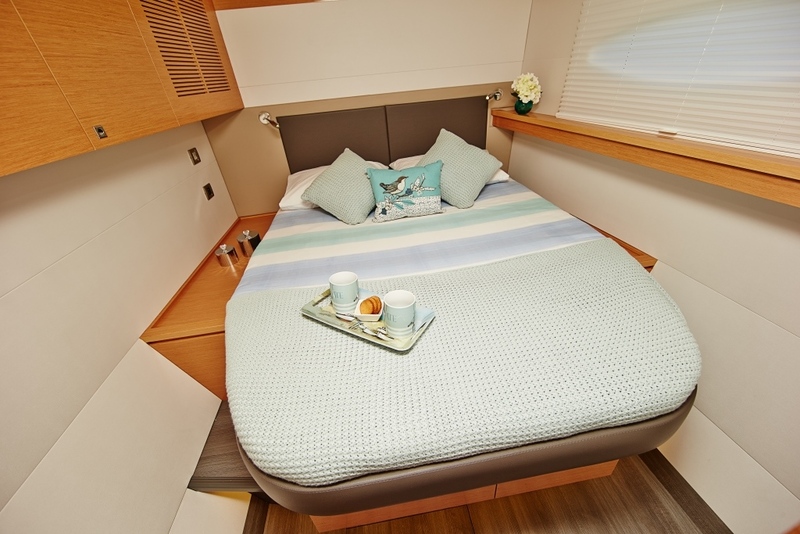 The Victoria 67 catamaran LIR features fabulous exterior living space on her 9.5m (31.16ft) beam. 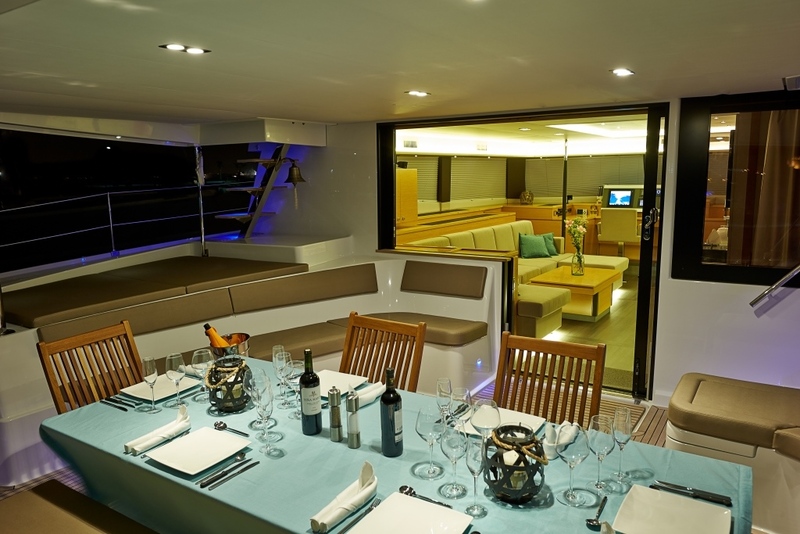 Aft of the salon, sliding glass doors open out onto the guest cockpit, creating a vast entertaining area, complete with ample seating, deluxe teak dining table, side and aft sunpads and shade. 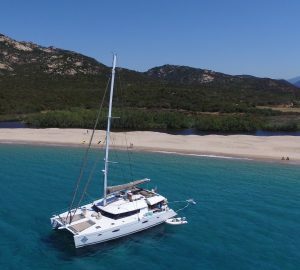 Further aft, the port and starboard transoms are wide, providing effortless access to the azure waters and great choice of sea toys available. 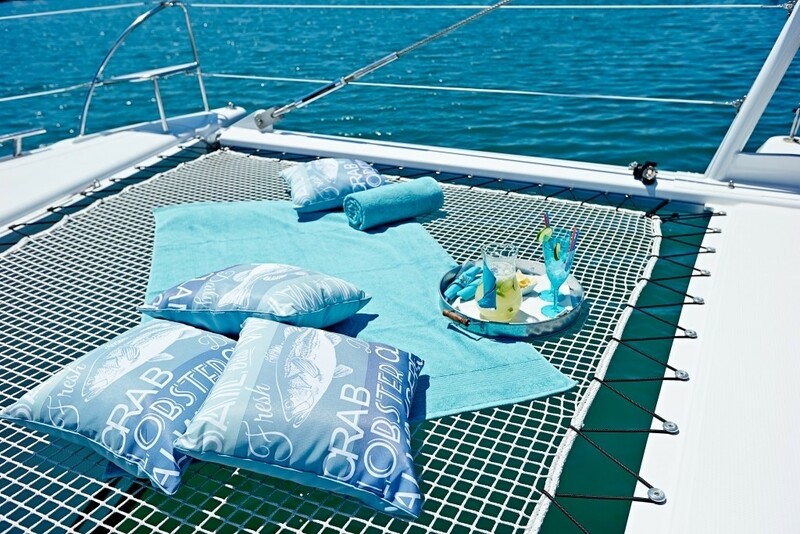 If lounging is more your style, the large foredeck boasts 2 massive safety trampolines and further sunpads, great for sunning or simply watching the world go by. 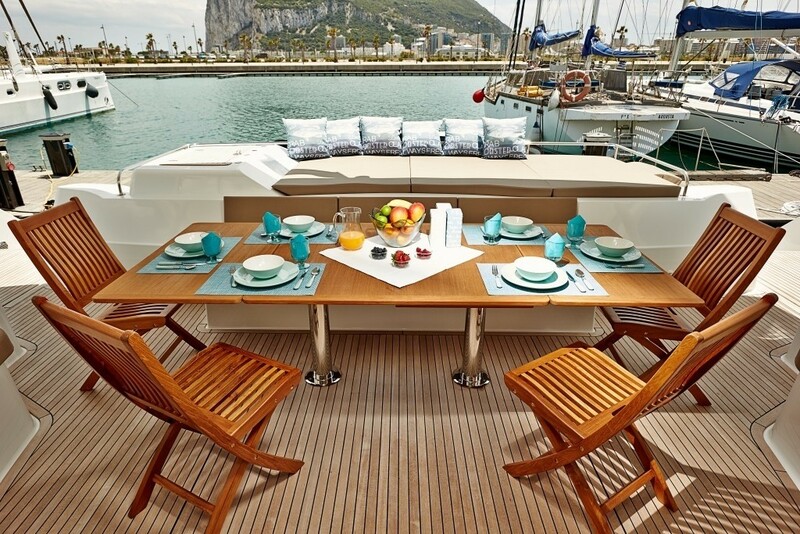 S/Y LIR features an upper sundeck in addition to her abundance of main deck living. 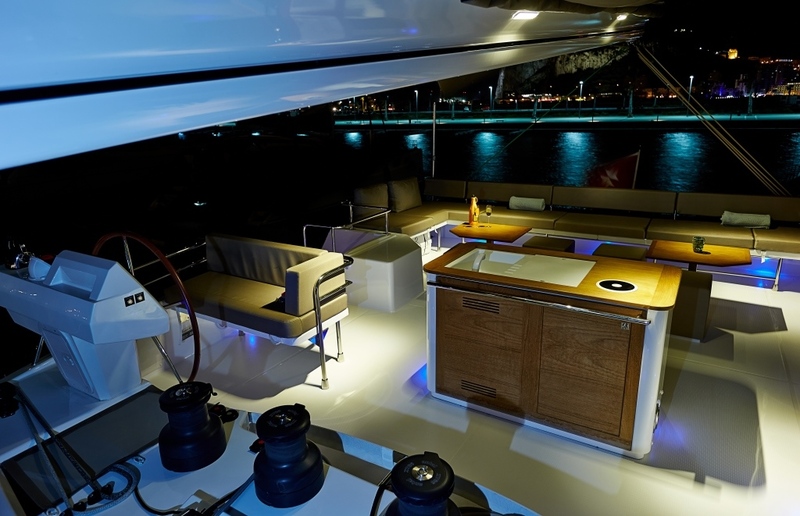 The sundeck is perfect for entertaining by day or night, complete with a generous full beam aft seating area, 2 tables a full service wet bar and 360° spectacular views. 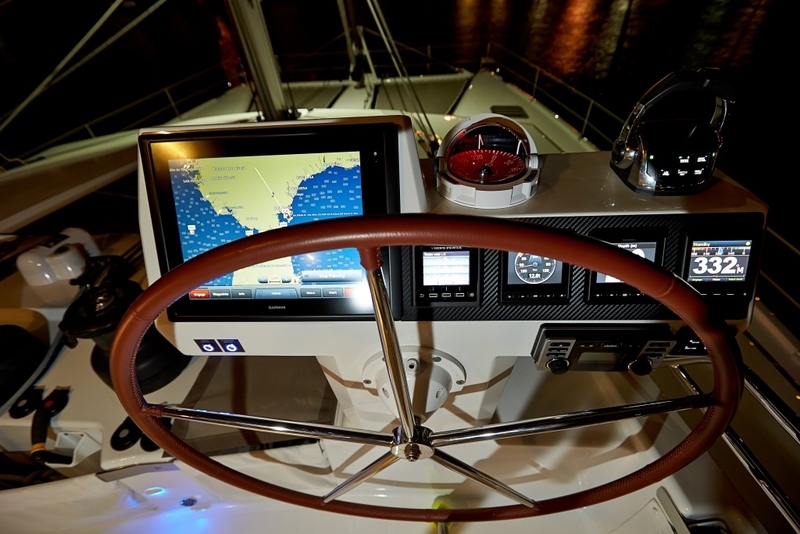 Powered by 2 Volvo Penta 150hp engines, LIR is capable of 8 – 12 knots. 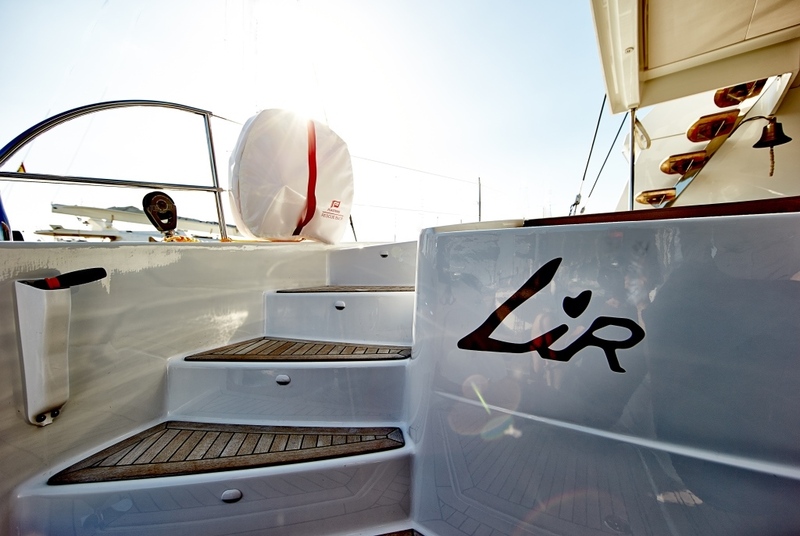 LIR is a sloop rigged vessel, she carries 197m2 (2117ft2) sail area, and has been finished to the highest standards with pleasure sailing as a priority. 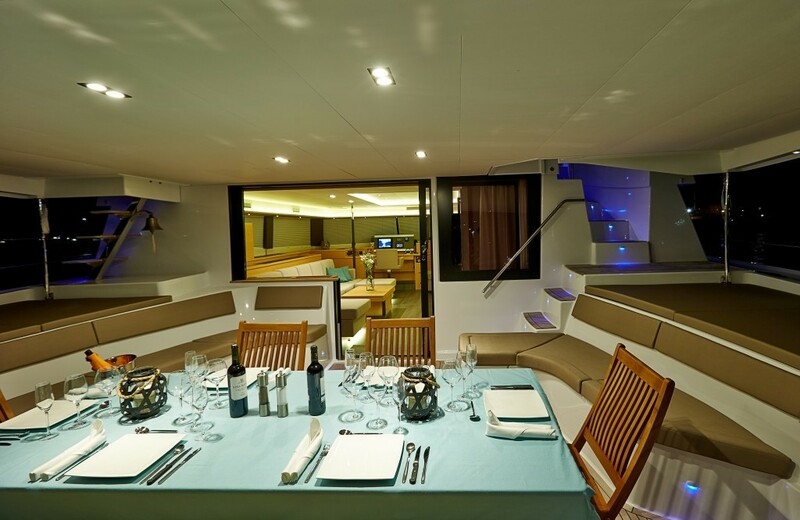 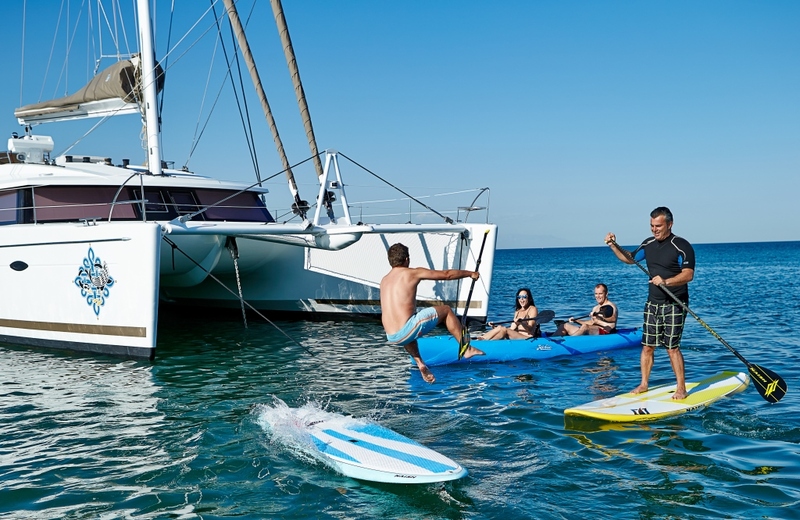 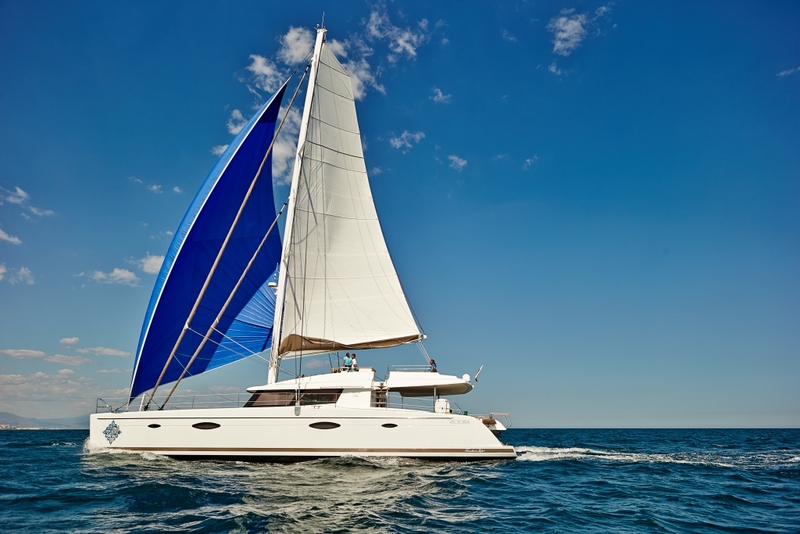 The catamaran design is well known for stability, agility and speed, LIR is sure to please the most discerning of guests. 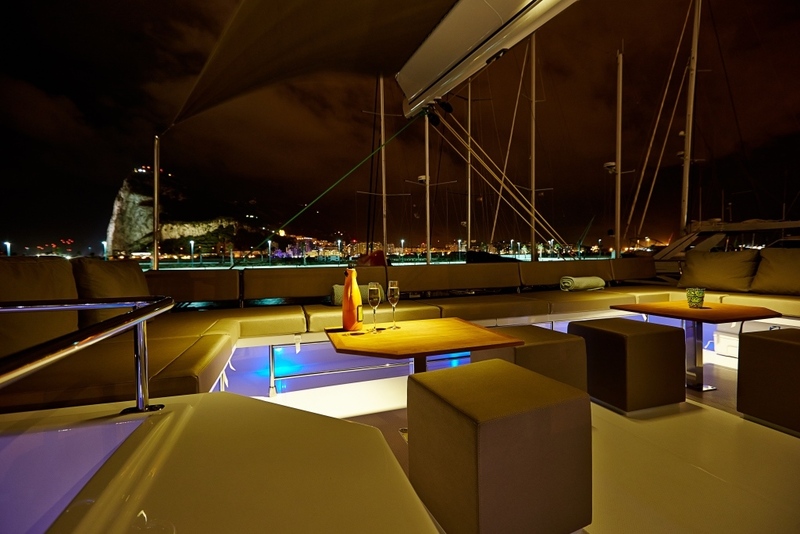 LIR is equipped with a full range of leisure equipment for the use of the guests and offer spectacular underwater lighting. Her crew have a wealth of experience supported by formal qualifications. 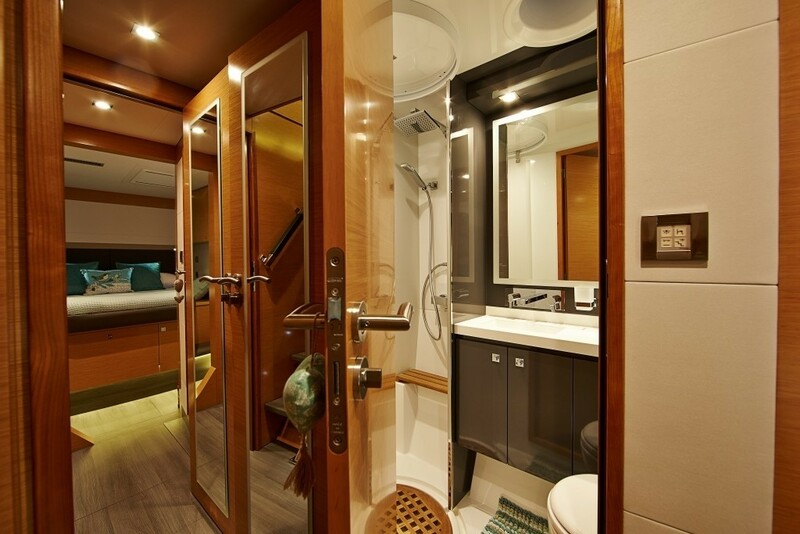 Luxury charter yacht LIR offers 4 double en-suite cabins for up to 8 charter guests. 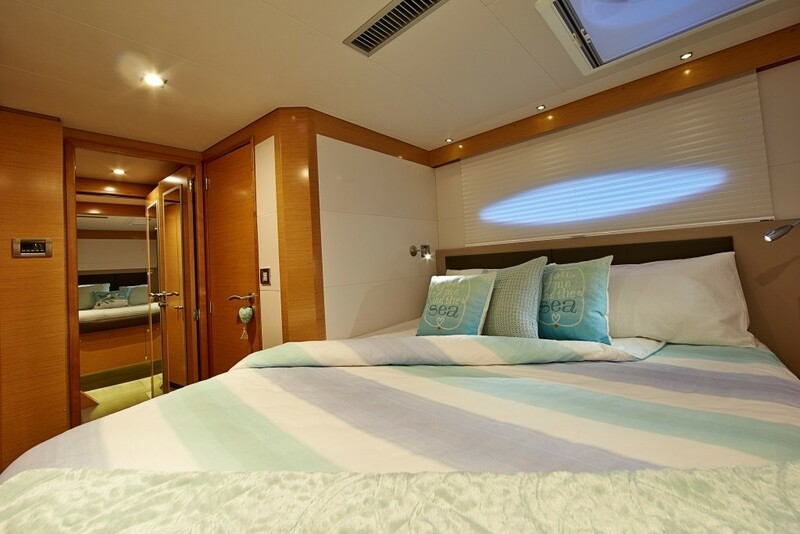 The master suite is on the port side and offers a queen size bed, private lounge and generous en-suite facilities. 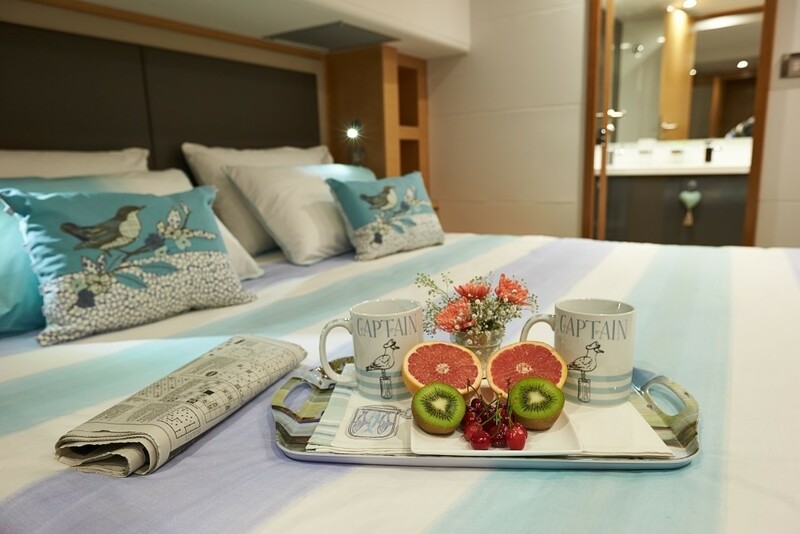 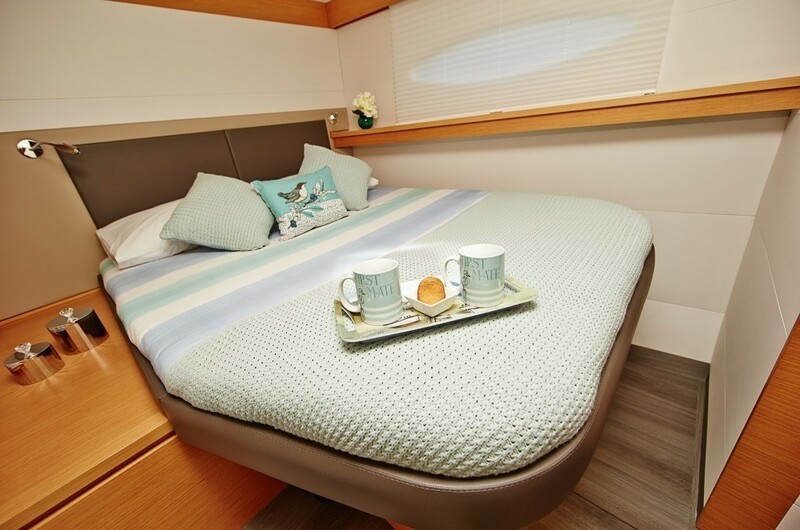 On the starboard side, 3 double cabins each are spacious, light and airy, offering double beds and private en-suite facilities.